See? 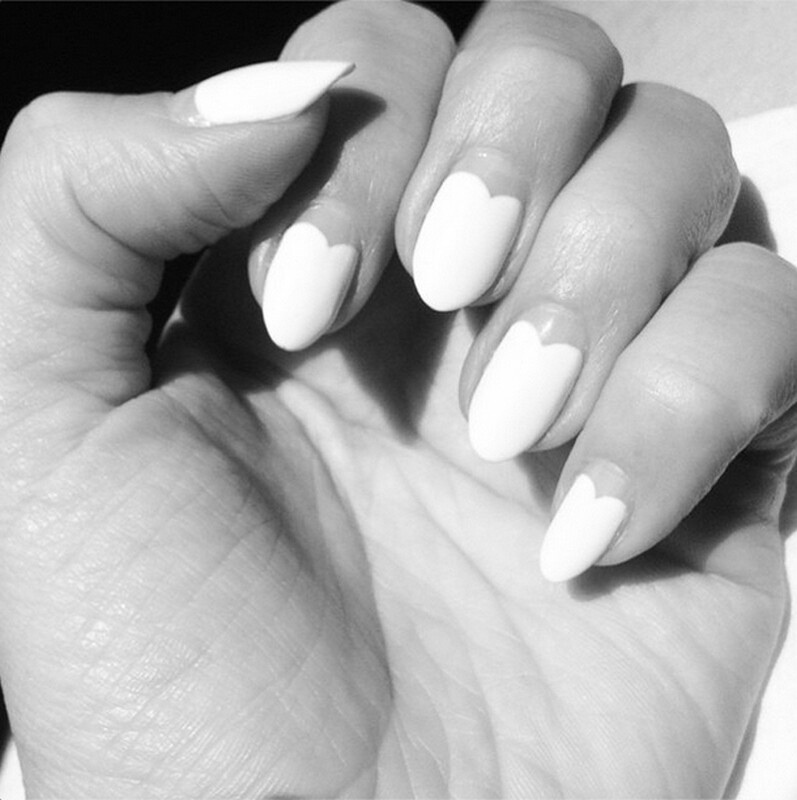 My scalloped white mani copied from inspired by pal-o-mine Katherine Flemming, health and beauty at Elle Canada magazine! 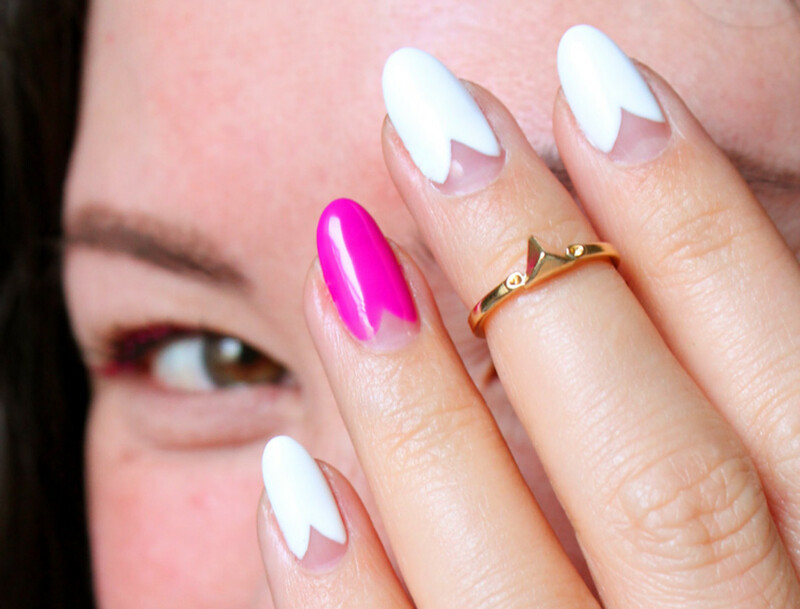 I&apos;ve been thinking about Katherine&apos;s scalloped white mani since first seeing it several weeks ago, but her Instagram shot (above) sealed the deal. So at my most recent visit to see Leeanne Colley at Tips Nail Bar, I asked Leeanne for a similar paint job, with a berry accent nail. 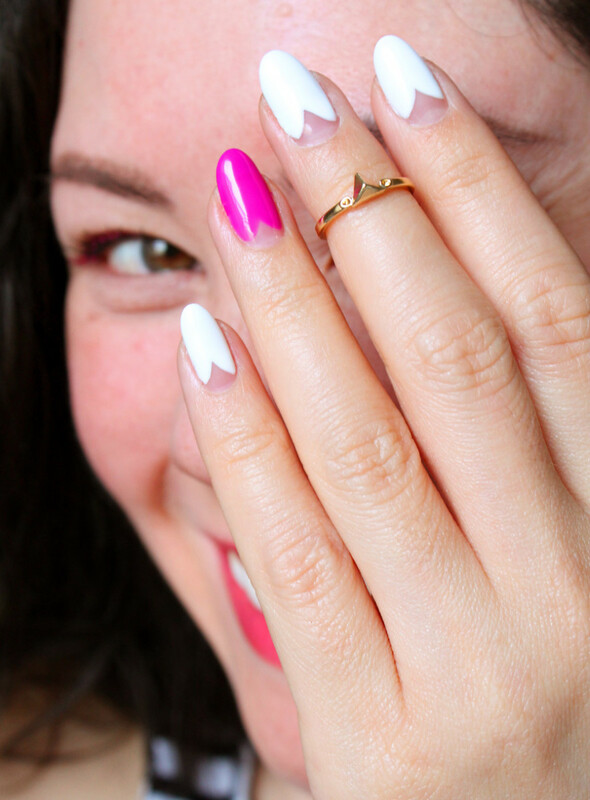 So whaddya think of the scalloped white mani? Accent nail or no accent nail? And maybe the ring should be on the finger to the left as well? 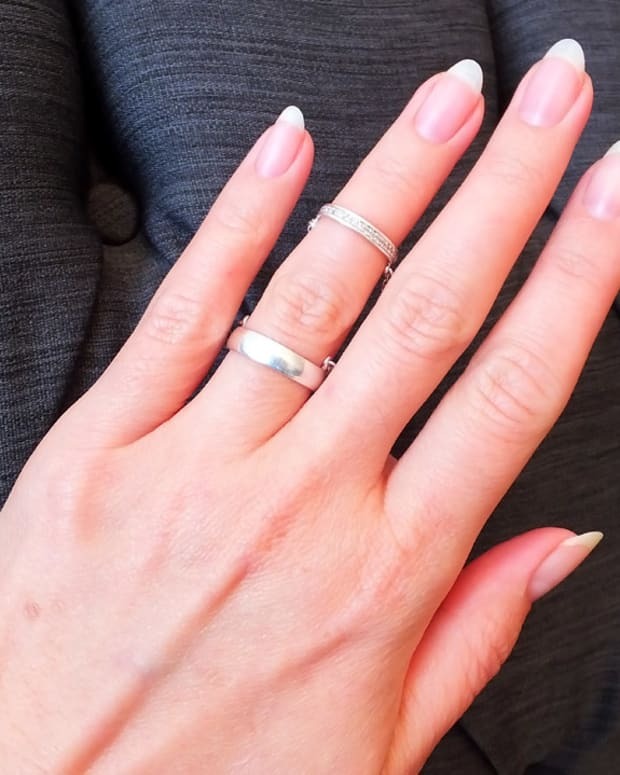 Katherine&apos;s Instagram mani by Oksana Fedio, Tips Nail Bar.